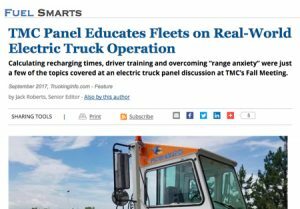 DHL Supply Chain, along with Orange EV, Workhorse Commercial Trucks, and Ryder System, recently gave a panel presentation at the Technology & Maintenance Council’s (TMC’s) Fall Meeting. The panelists presented potential challenges facing EV owners, addressed implementation, and shared their experiences with electric vehicles. Dave Williams, operations director for DHL Supply Chain, outlined his experiences using two all-electric yard tractors during evaluation testing, noting that his trucks are in operation approximately 21 hours a day. 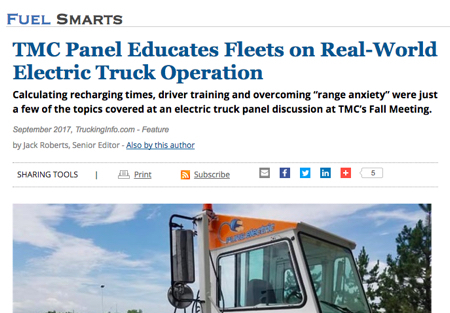 “We have had no issues with the operation of our electric trucks at all,” he added. DHL Supply Chain’s electric truck evaluation is still ongoing. But Williams said he was confident that a “conservative” estimate has the two electric yard tractors saving $40,584 per year compared to diesel units. “All in all, this has been an extremely positive experience for us,” he added.